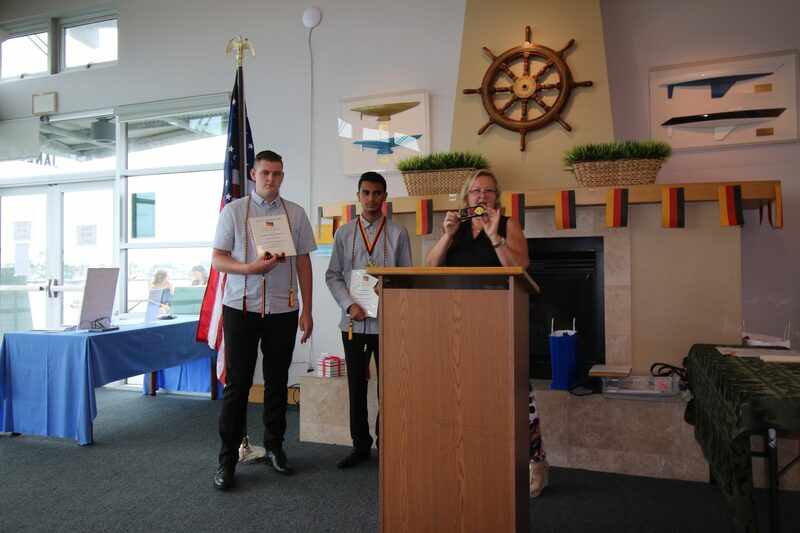 Newport Beach, Calif. – July 1st, 2017 – German School Campus student award ceremony this Saturday morning planned to honor the outstanding achievements of students in their German language studies, turned into an unexpected bigger celebration of educational success. 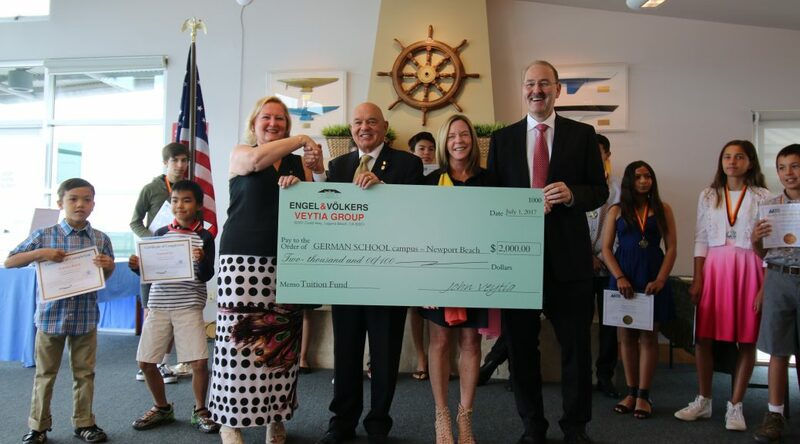 German School Campus has been awarded a $2000 gift from Veytia Group from Laguna Beach, and received the check this morning during the annual award ceremony. 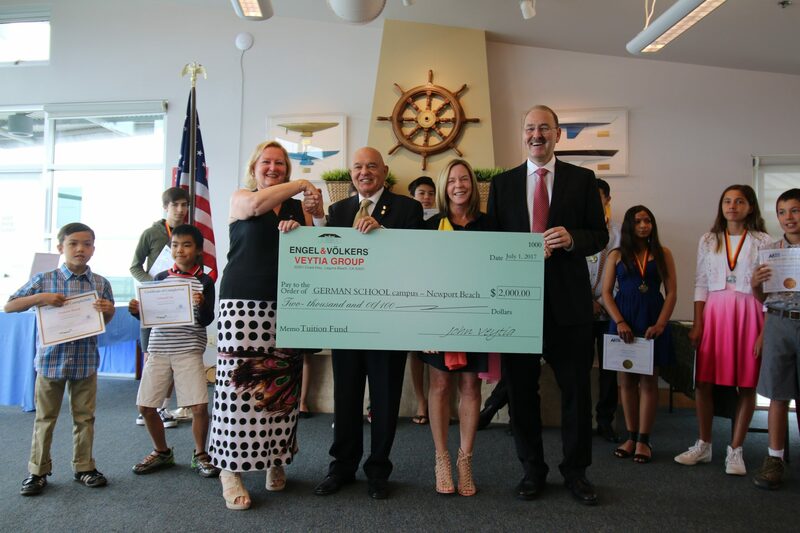 Before the presentation of the check took center stage, students of the school received their awards for their hard work, but most importantly for their impressive results on the German National Exam, the official test by the American Association of Teachers of German (AATG). 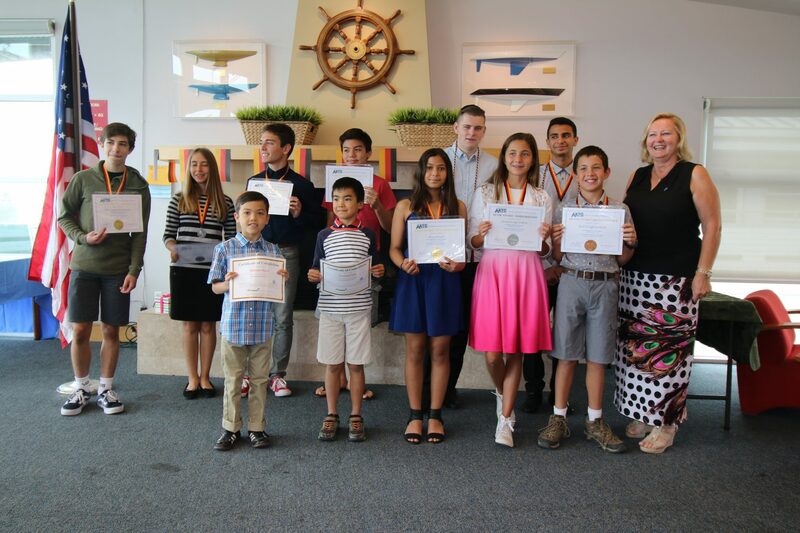 Students of German School Campus brought home 10 Gold, 4 Silver and 1 Bronze medal! “After witnessing the great success German School Campus has had in only its second year, we decided that we wanted to invest into the youth of the future with this school”, says Rotarian John Veytia of VEYTIA GROUP. He adds, “As a real estate agent I thoroughly get it what it means to speak another language. It literally opens doors in my profession.” He feels that understanding another language and culture is so important these days as the world becomes a much closer community. Principal Ursula Schoeneich chimes in that since May 2017 her school is also an accredited chapter for the Delta Epsilon Phi National Honor Society for High School Students of German. She could already induct two of her students into her local chapter! “Learning German pays off, not only in high school credits and qualifying for AP classes, but most importantly in standing out with your college application“, she points out during her address at the award ceremony. 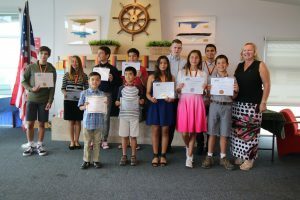 A delicious, catered luncheon for students and all guests rounded off the eventful morning and set the relaxed tone for next week’s German Language Camp at the Sea Base “STEM Summer Day Camp –Earth, Water, Air, Fire” from July 3rd-8th. German School campus serves the Orange County community since 2015. The school offers German language classes and high school German language tutoring as well as preparation classes for the high school AP German exam and the German National Exam. 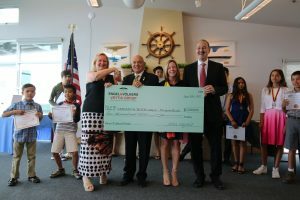 School principal Ursula Schoeneich is a certified DaF German Language Teacher and a trained Assistant Scoutmaster for the Boy Scouts of America. German School campus is a 501(c) (3) non-profit Public Benefit Corporation. Donations are 100% tax deductible.